The RDRP Ultra Pinion Holder is designed to take up to 16 pinion gears from 15T to 30T size and helps to keep your valuable gears sorted. The holder is CNC-machined from a single piece of 7075-T6 aluminium, and comes with a shiny black finish with laser-engraved logos and markings. Size indicators help you to have the needed pinion at hand within a second and are ideal not only in combination with the RDRP Ultra Pinions but also ideal when using unmarked aftermarket gears. The RDRP Ultra Pinion Holder hold up to 16 15T to 30T pinion gears for easy recognition and protected storage. 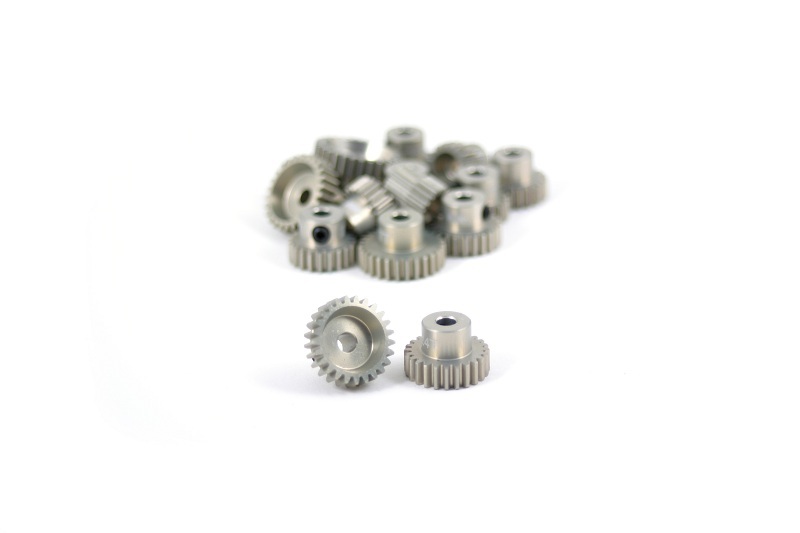 The RDRP Ultra Pinion Set 48dp Aluminium includes a total of 16 pinions in sizes of 15 to 30T to cover all of your gearing needs. 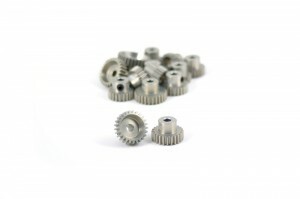 The lightweight design and true cut makes them outperform any other pinion gear out there, reduce the running noise and let the drivetrain of your vehicle become even more efficient for improved performance. Each pinion is CNC-cut from high quality 7075-T6 aluminium, hard coated and laser-etched for a long lasting finish and easy recognition of the pinion size. 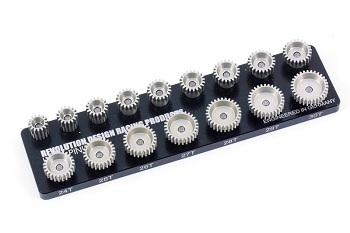 Included in the set is the RDRP Ultra Pinion Holder, a CNC-machined 7075-T6 aluminium plate that helps you to securely store your precious RDRP pinions. DEX210 Aluminium Thumb ScrewsThe RDRP DEX210 Aluminium Thumb Screws are CNC-machined from 7075-T6 aluminium, come gold anodised and laser etched to add cool looks to your DEX210 buggy. The thumb screws are slightly larger in size to make for easier handling when swapping battery packs. 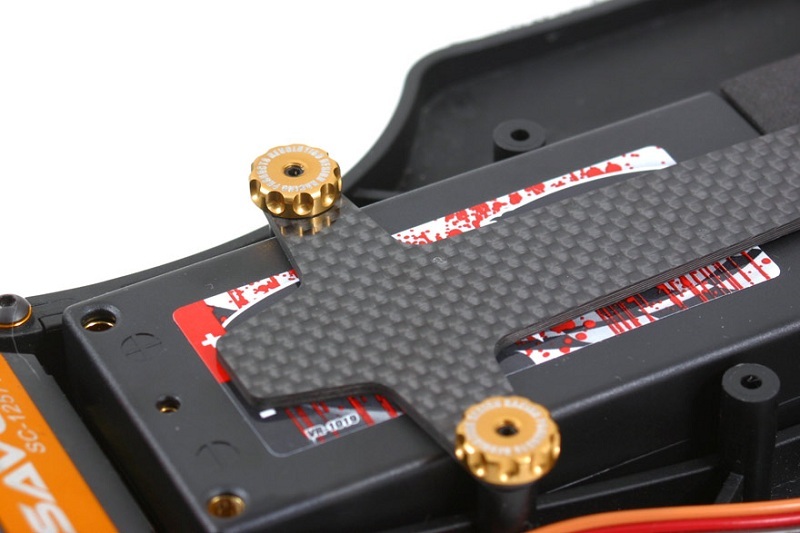 They are usable with the stock plastic as well as both the RDRP DEX210 Aluminium and Carbon Fibre Battery Plate and of course all other vehicles that make use of metrical thumb screws. The RDRP DEX210 Aluminium Thumb Screws replace the kit’s plastic battery hold down thumb screws. The RDRP Ultra Car Stand is designed to provide you with a solid base to make working on your car a breeze. The revolving upper platform allows you to place everything from a 1/12th scale pan car up to an 1/8th scale truck while building, maintaining or tuning your car. Two large foam pads keep the chassis plate from moving while a pair of rubber O-rings make for a silky smooth movement of the platform plus they keep it from spinning excessively. 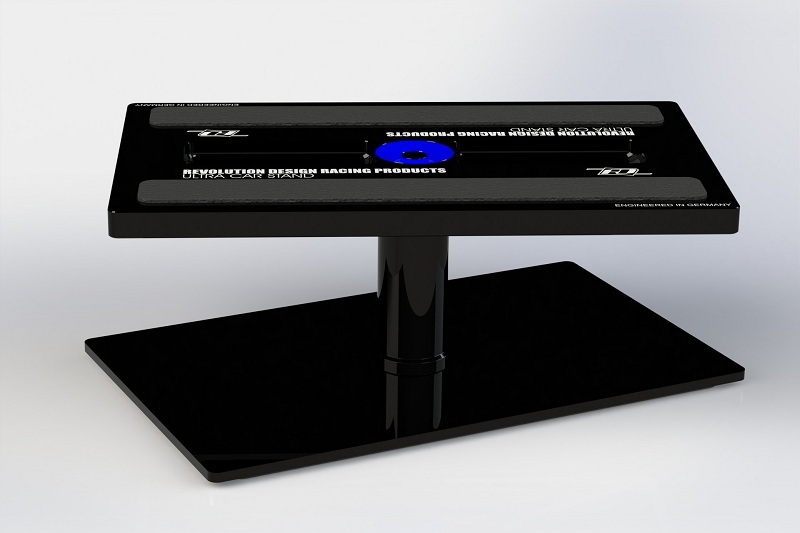 Two additional anti-slip pads in the bottom plate make for a secure stand of the Ultra Car Stand on your pit table or setup board. 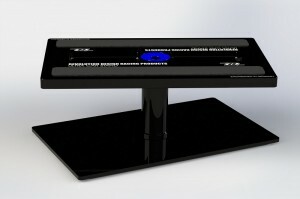 The overall height is adjustable via a spacer and leaves you the choice between a height of 60mm or 70mm. CNC-machined from 7075-T6 aluminium and coming black anodised for that distinctive stealth look the Ultra Car Stand not only looks cool but also has everything it needs to withstand the rigours of regular abuse in racing situations to make it look shiny for years.